When is it okay to ask for help? Recently my wife and I had an excellent few days away, in the fresh air, with our caravan. When we were packing up to come home I noticed an elderly man really struggling to connect his caravan to his car and be ready for the off. With his daughter standing by the caravan he reversed the car, desperately trying to position the tow bar below the caravan ball hitch so that the two could connect. But it just wasn’t happening. And the more he tried the further apart the tow bar and ball hitch became! His daughter was frustrated! He was frustrated – steam coming from his ears…. Having ‘been there, done that’ many times I reached out and offered to help. ‘No thank you,’ said the elderly man. ‘Yes please!’ said the daughter. But the elderly man was in charge, and he was determined he could do this – alone! In the end we all ‘dived in’! Within a minute the caravan was connected, and all was well with the world. When is it acceptable to ask for, or accept, help? The attitude of the daughter was so very, very different from that of her father; whilst she embraced the offer of help, he was adamant he didn’t need it and could resolve their predicament alone. Does this typify the difference in attitudes to asking for help in today’s society? In my opinion, it does. The male is conditioned to succeed at all costs – just get on and do it; don’t ask for help. But for some reason women have a more rational approach – if help is needed, and if the proffered help is going to achieve the desired result, then why not. So what does this have to do with therapy and the work I do? I think the incident is a good example of how men have to change, have to realise that it be okay to ask for help. It really is not a sign of weakness, of not being able to do something; rather it’s a case of realising that if someone’s help can achieve what you are trying to achieve, then take it! Some people, especially men, can find it hard to reach out to a therapist – sometimes leaving it until it’s too late. Their male “I can manage” attitude, gets in the way of their rational brain, and the end result isn’t always the best it could be. 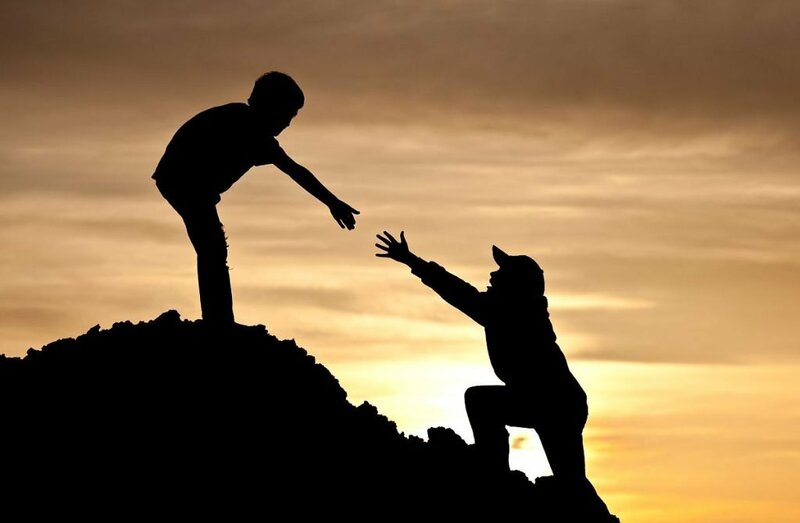 So, if you know someone who is trying to do it alone, and who is adamant they don’t need help, then why not give them ‘a leg up’ and help them realise help is needed. Male or female it really is okay to ask for help; in fact in today’s society it’s probably more important than ever. If you know someone who would benefit from Cognitive Hypnotherapy then please pass them my details.